Not unlike preparing a gourmet meal, keeping your new or pre-owned BMW performance automobile running smoothly is all about using the best ingredients. 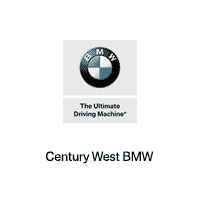 That’s why Century West BMW stocks the best parts for your car, from tires, brake pads and wiper blades to exhaust systems, mufflers and custom accessories. Our friendly and professional parts and service staff is equipped to handle all your services needs regardless of your BMW’s model or year of manufacture. That’s because we house and have access to a massive inventory of certified BMW parts and accessories that we offer to our Studio City, Beverly Hills, Glendale, West Hollywood and Los Angeles clients at market-leading price points. We invite drivers from across Los Angeles to utilize our expansive car parts center in order to keep their BMW driving machine running at optimum performance.